Some travelers look for modern comforts and a feeling of luxury when traveling, while some consider ambience as the top priority. Still, others only consider price, and would stay anywhere as long as it allows them to maximize their exploration. Whenever I visit new places, I always try to look for a bit of everything: a reasonably-priced second home that provides everything I need—nothing lacking, nothing in excess—while giving me a sense of the local culture and a feeling akin to visiting the house of a longtime friend. 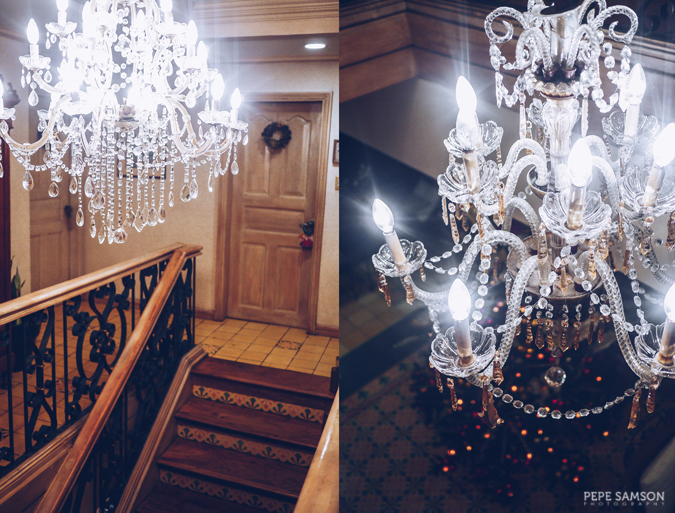 Roxas President’s Inn in Capiz is such a place. 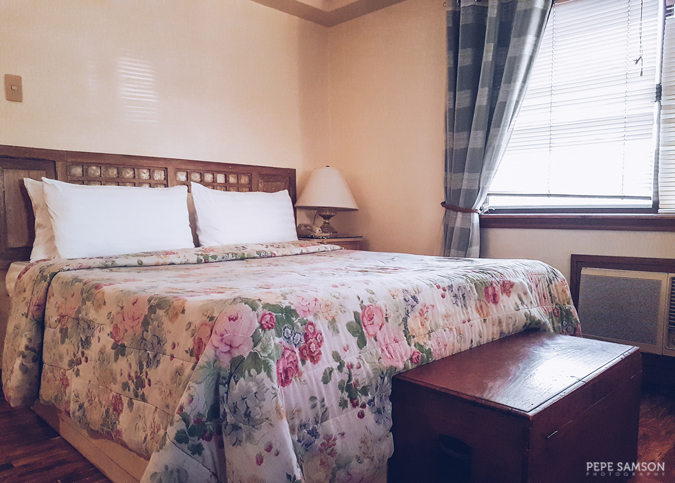 Situated at the heart of Roxas City, the 28-room hotel boasts of an aura of artistic elegance and nostalgic charm. 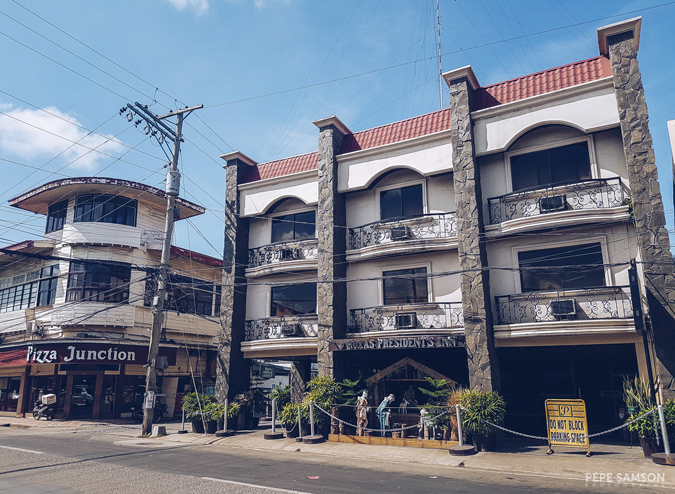 The three-story hotel sits near the majority of the city’s tourist attractions, and is about 5 minutes from the Roxas Airport. 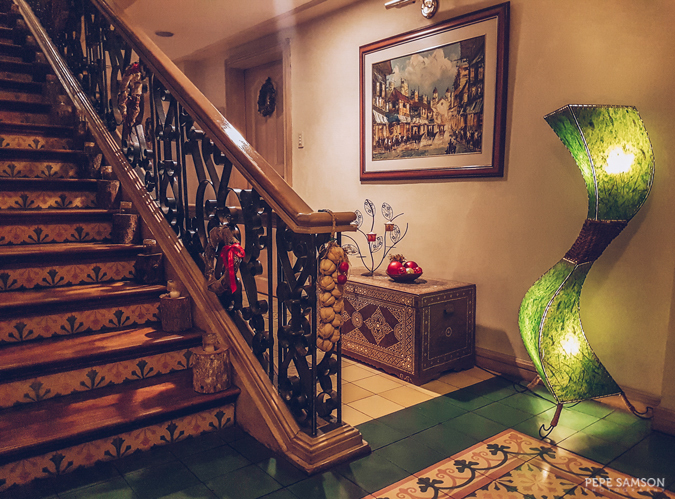 Named after President Manuel Roxas (first president of the third republic of the Philippines), the hotel seeks to provide a home away from home to its guests through its personalized service and distinct country touch. 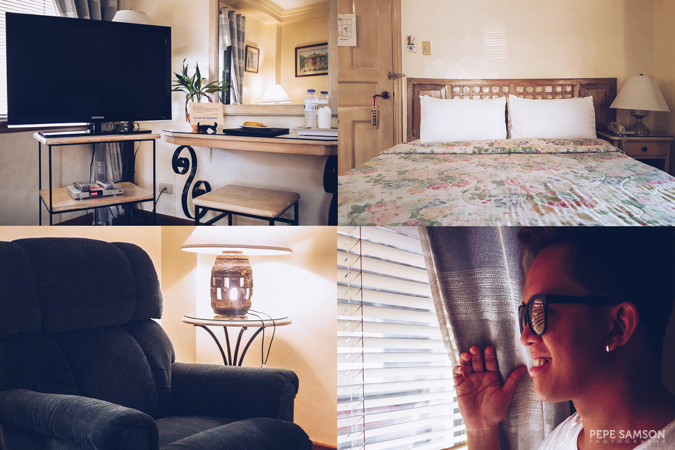 In my recent, randomness-filled trip to the Western Visayas, Roxas President’s Inn was my home for the first day. I couldn’t think of a better way to start my city-hopping than meeting friendly, warm people and discovering an equally-welcoming hotel. 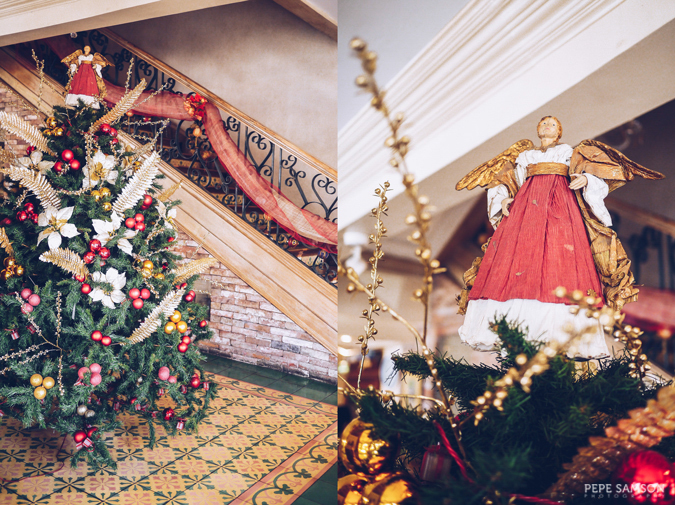 When we visited, the hotel's Christmas tree is already up, making it even more inviting that it already is. 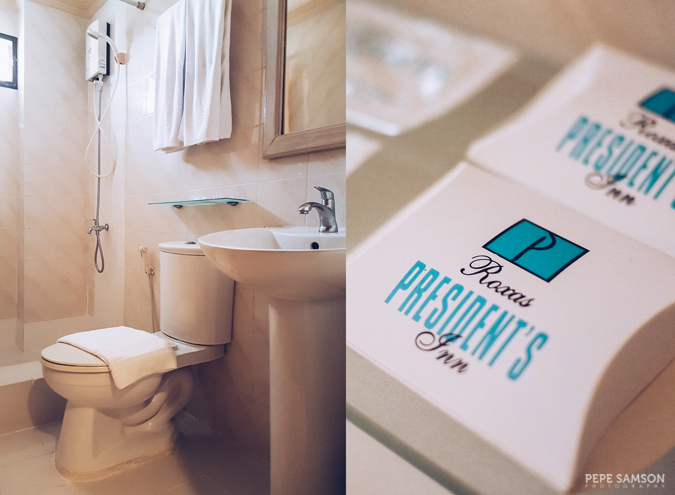 Read on to find out more about Roxas President’s Inn. 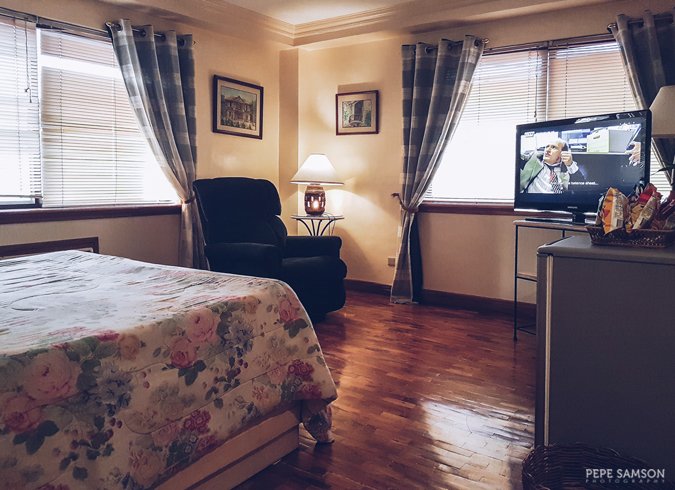 Click here to find the BEST room rates at the Roxas President's Inn. 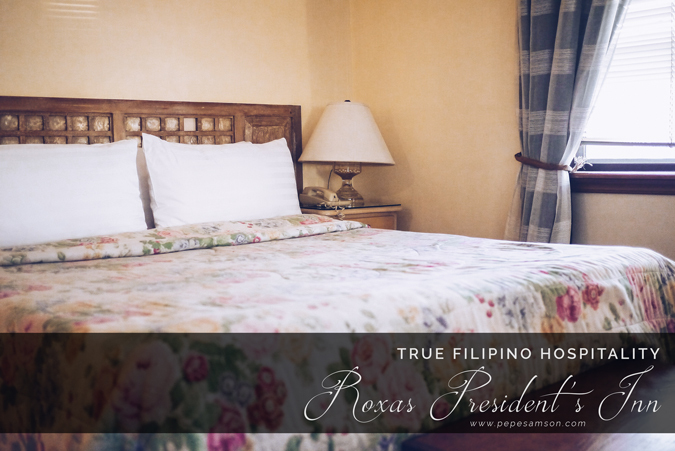 All rooms at Roxas President’s Inn, distributed among the building's three floors, are named after the presidents of the Philippines. 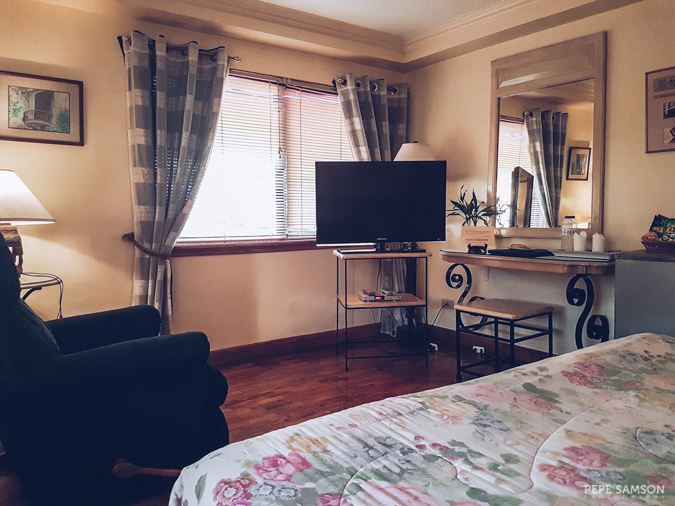 We stayed in the Magsaysay Suite (PhP1,700/night)—a deluxe room equipped with a Queen-size bed, a mini-bar, a sitting area, and a bathroom. The floral and wooden elements exude a relaxing countryside feeling—much-appreciated in my much-desired break. The bed is spacious and pretty comfortable, positioned directly beside a window with a view of the city and in front of the large cable TV. There’s a lounge chair with a tuck-away foot rest, perfect for watching shows or for enjoying a cup of coffee. A small desk doubles as a vanity area, and beside it is a mini-ref stocked with sodas, local beers, and complimentary water. Local chips, nuts, and cookies are also provided (all for a minimal extra charge). Nearby is the bathroom with a sink, toilet with bidet, and hot and cold shower—as well as toiletries and towels. Just adjacent is a row of closets spacious enough for anyone’s luggage. I also asked to check out a bigger room: the Noynoy Suite, which boasts of two beds (1 Queen and 1 single) and a larger en suite bathroom. 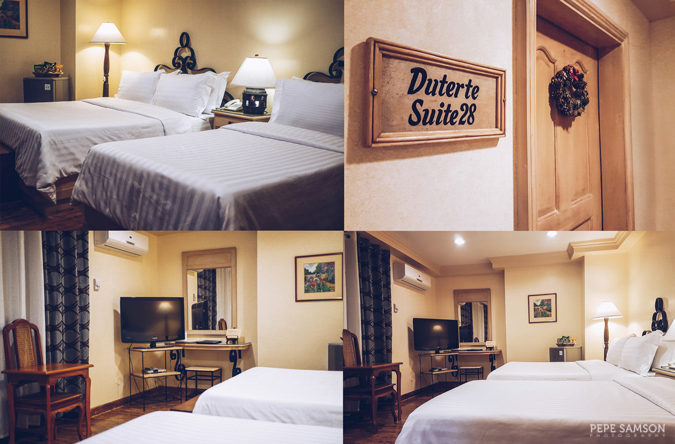 The newest one, the Duterte Suite, was occupied when I visited, so I wasn’t able to see how it looks. The hotel has free Wi-Fi, and is accessible, fast, and reliable in all the rooms. 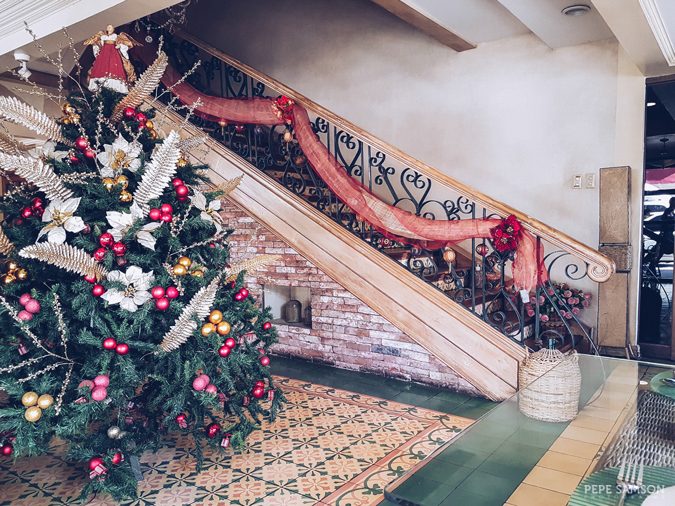 The hotel has one dining outlet called The President’s Coffee Gallerie Shop—which offers complimentary plated breakfast for checked-in guests as well as an all-day menu composed of Filipino dishes. The restaurant is the actually the first thing you will see upon entering the hotel’s double doors—and honestly, when I stepped in, I couldn’t help but instantly love the quaint, homey interiors. Everything from the brick columns, native chairs, and displays of antique crafts contribute to the relaxing, charming ambience. Patterned floors provide a lovely backdrop for the beautiful table settings, and crowning everything is a grand chandelier. And while the place tries to wow guests at first sight, it’s the food that will make them want to come back. 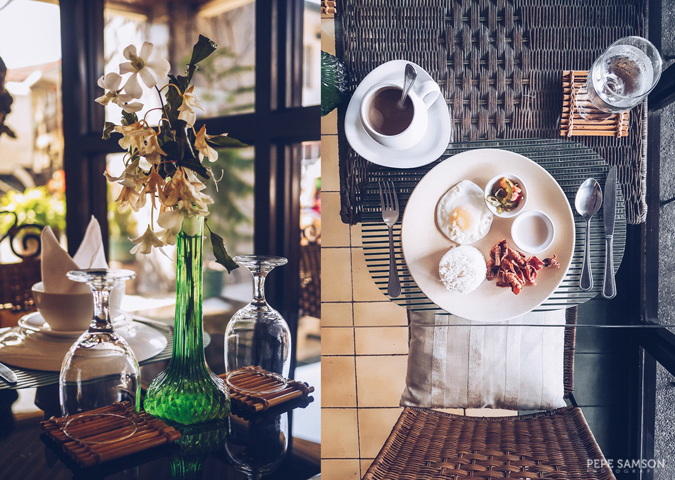 The hotel’s breakfast choices showcase its fresh sea bounties, and it will be a mortal sin not to eat seafood here. I tried the Daing na Pusit which came with rice, fried egg, and pickled vegetables—as well as a choice between coffee and tea. 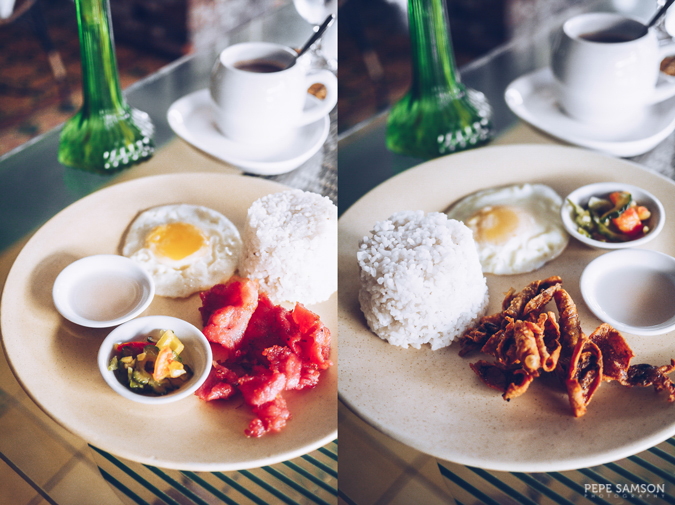 However, if you’re allergic to seafood, they also serve other breakfast plates with choices like tocino and longganisa. Every dish we tried for dinner was, likewise, obviously lovingly made—just like how our lolas would do it when she’s expecting guests at home. 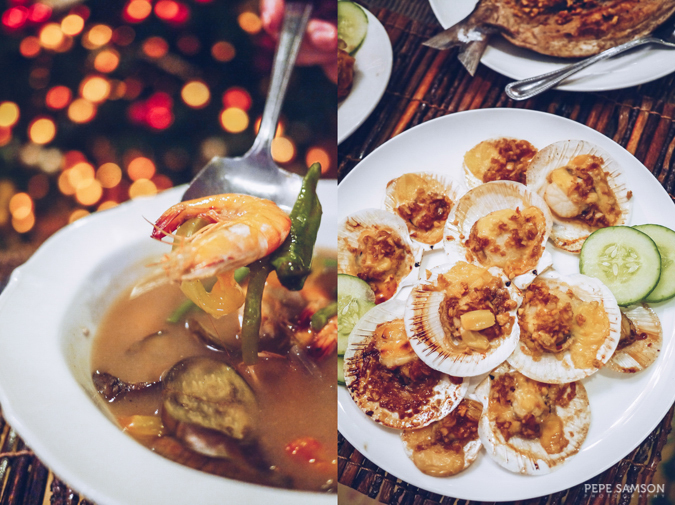 The Sinigang na Hipon is made with fresh local prawns, with a sourness and thickness that was just right; the Scallops in Garlic Butter and the Fish Steak with Garlic and Lemon, on the other hand, made me wish the Seafood Capital was just a short drive away from home. My friend Kat couldn’t stop raving about the Vegetarian Lumpia with a surprise layer of peanut sauce. 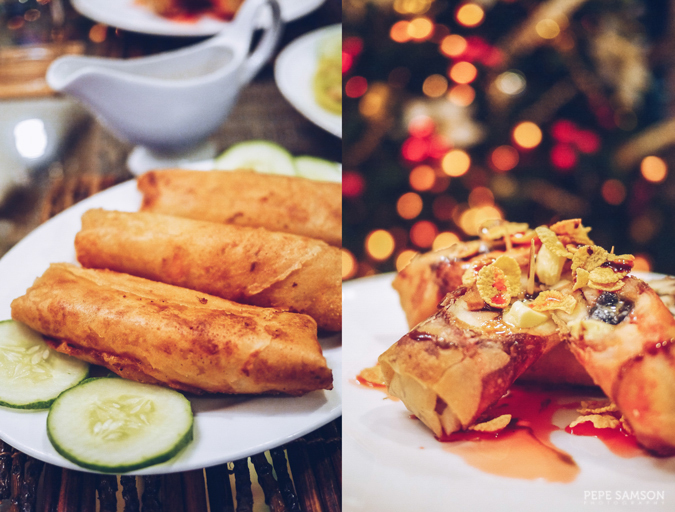 However, it was the Turon de Saba stuffed with saba banana and ube which I couldn’t stop munching at. 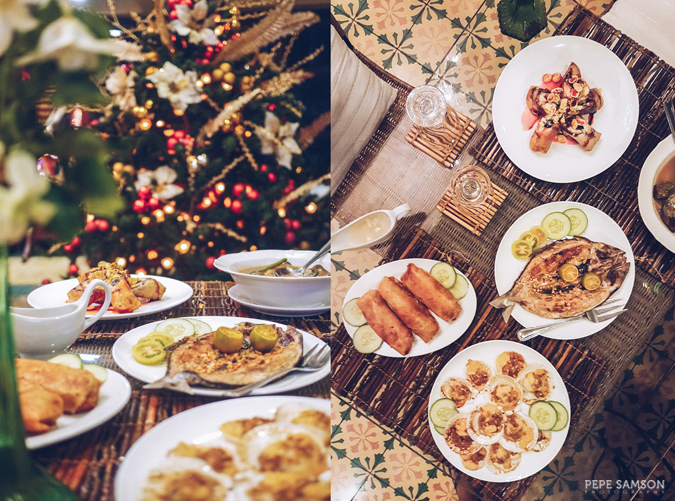 The Christmas tree completed the perfect dinner setting—it was as if I were having noche buena, enjoying familiar home-cooked dishes, chatting with family. Except that this time, I was somewhere else—a friendly city that welcomed me with open arms—with friends, old and new. Because of its location and its charming interiors, the hotel is a favorite choice for private gatherings and functions as well. 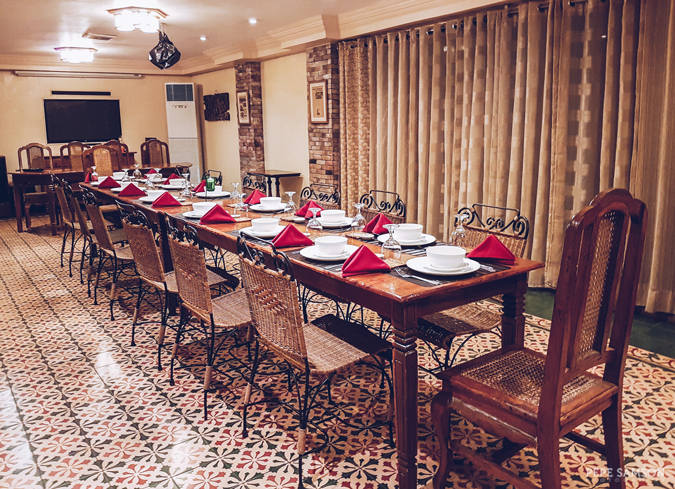 Roxas President’s Inn’s Function Hall, located at the lobby level, can accommodate 30-50 people, and can be configured both for business and leisure functions. The hotel also has a mini-shop which sells not only food products (coffee, tablea, etc.) but also handicrafts and antiques. Rare items such as century-old Sto. 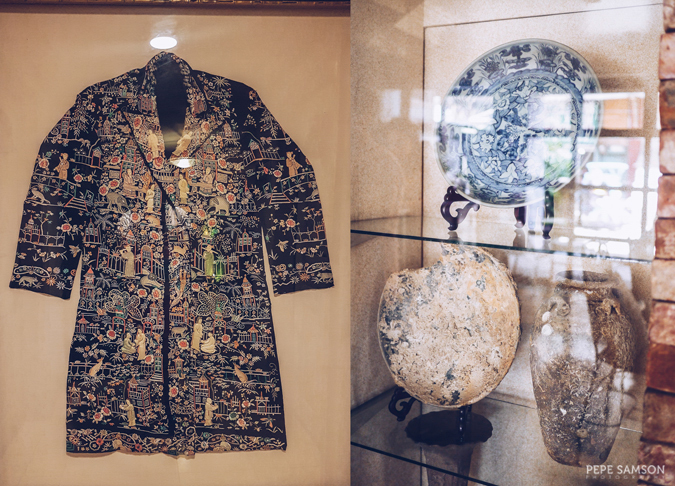 Nino figurines, ancient urns, and plates and jars salvaged from Chinese boats dating back to the Ming Dynasty era can be found here—ask the front desk for details on how to purchase. I said it before, and I will say it again: coming to Roxas City was a huge surprise. I only knew about its sumptuous seafood, but I learned so much more. I discovered its friendly people, who are always ready to help you and welcome you warmly; I discovered its relaxing spots, which humbled me once again with their simplicity and beauty; and I discovered its hospitality, which is exactly how I knew that Filipinos do it—with genuine and excellent service and always with the best feet forward. 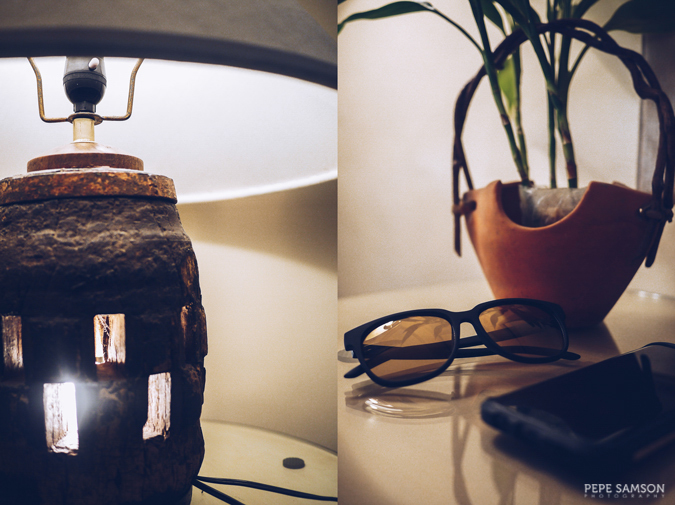 At Roxas President’s Inn, I saw all the above three things. 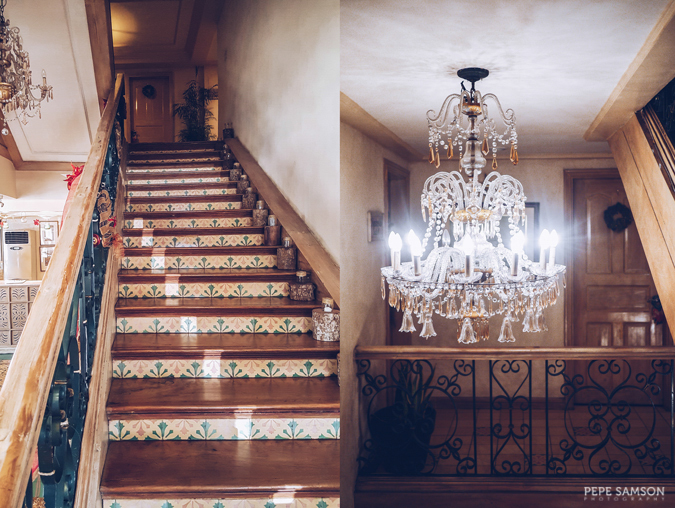 I got not only a place to stay while I roamed the city, I also got a cozy home where I could swap stories with new friends, learn new things, and gain insights. When I go back to Capiz, I am definitely staying in this hotel again. The hotel is old but well-maintained, complete with necessities and conveniences. Genuinely friendly and warm people, from the security guards to the manager. 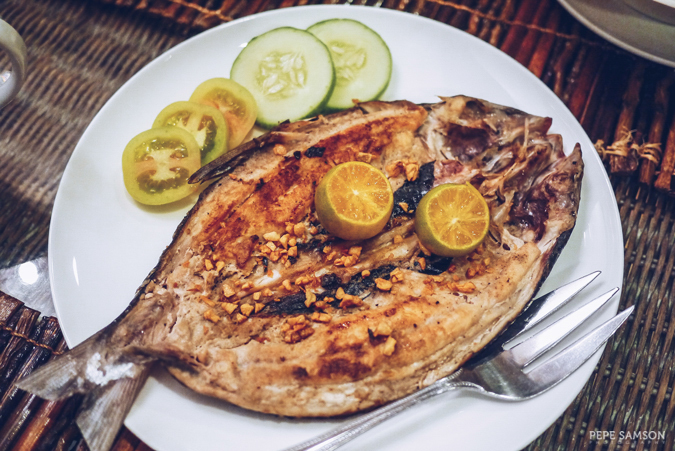 Great seafood, delicious Filipino dishes. The hotel is rustic and charming, with a taste of history and culture. 5 minutes from the airport, near major city attractions and dining areas. 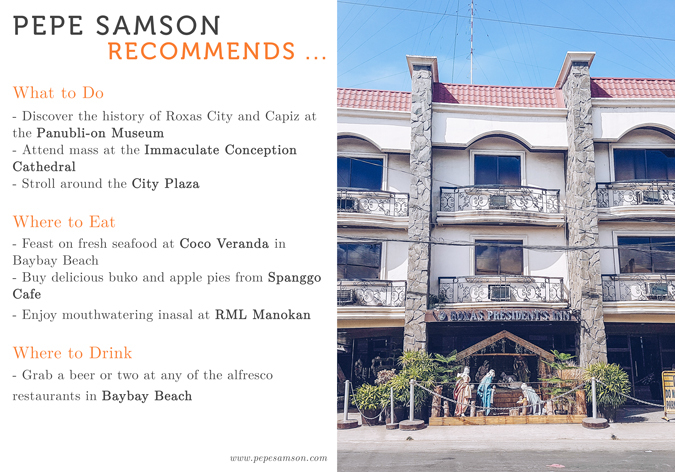 A great accommodation choice for anyone wishing to explore Roxas City and at the same time experience true Filipino hospitality. 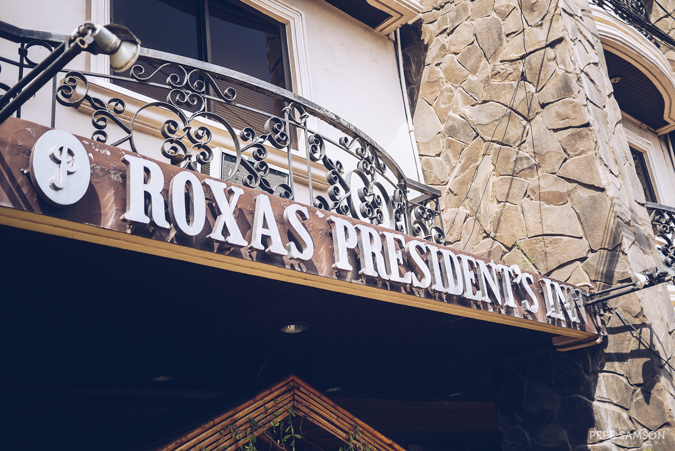 Have you stayed at Roxas President's Inn? How did you find it?